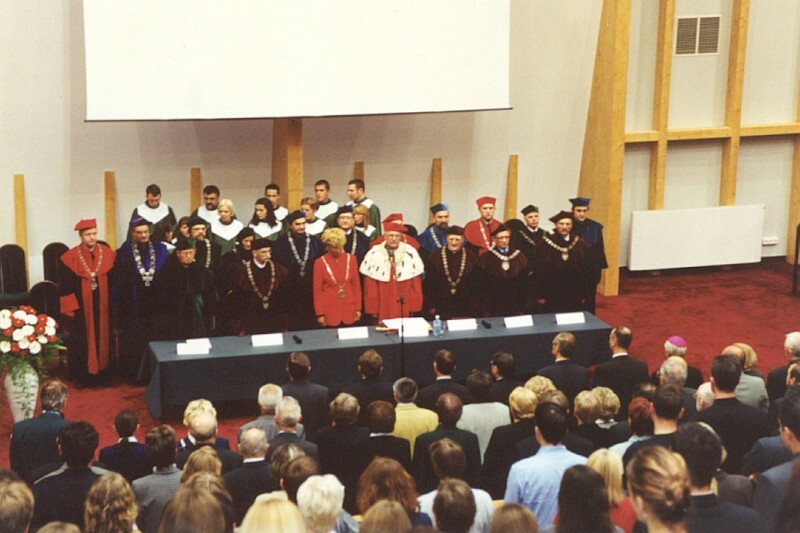 A common inauguration of the academic year 2013/14 – Collegium Polonicum and European University Viadrina. 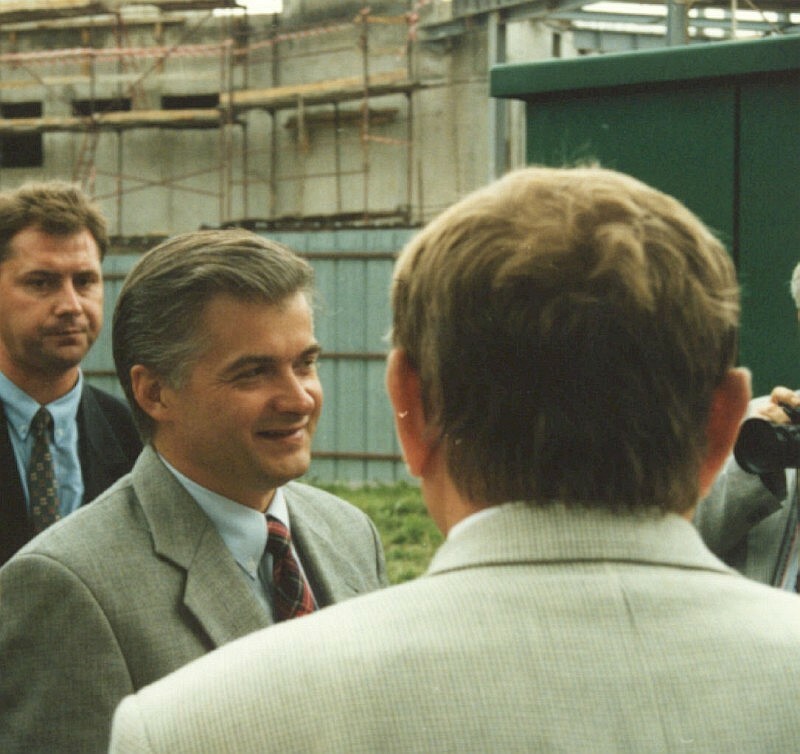 The President of the Republic of Poland, Mr Bronisław Komorowski, and The President of Germany, Mr Joachim Gauck, took part in the common inauguration of the academic year 2013/14 – AMU Collegium Polonicum and European University Viadrina. 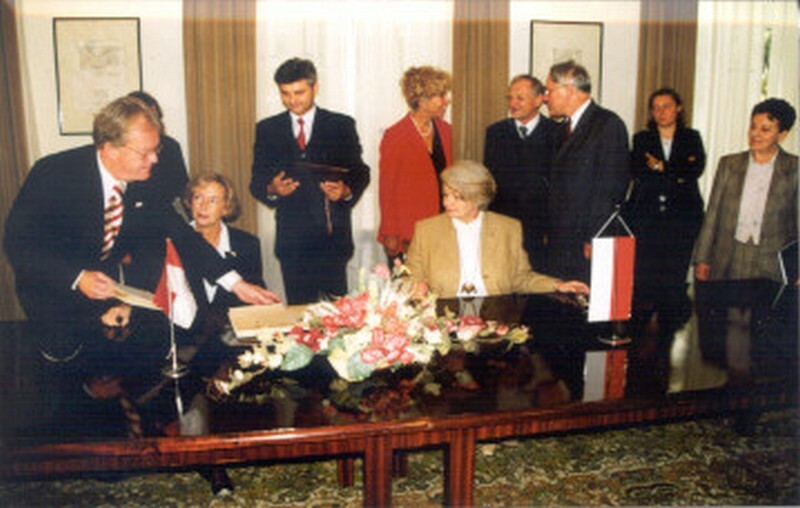 Signing of the Act of Establishing the Polish-German Research Institute (Polish - PNIB) in the Collegium Polonicum in Słubice. 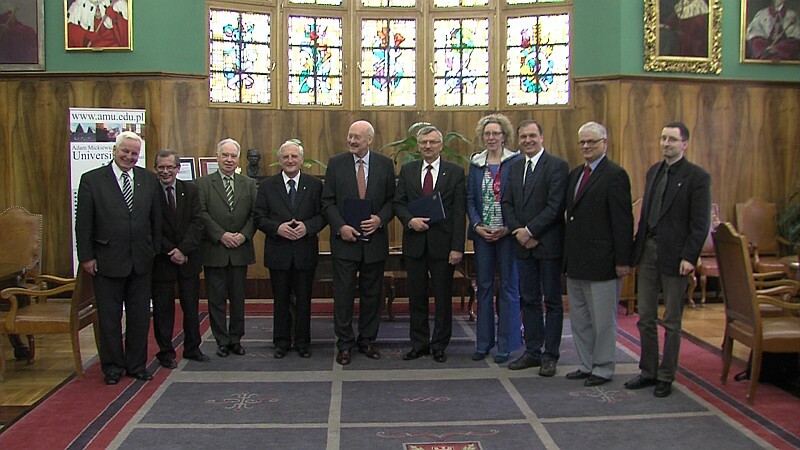 The Agreement of the Adam Mickiewicz University in Poznań and the European University Viadrina in Frankfurt (Oder) upon establishing the Polish-German Research Institute in the Collegium Polonicum in Słubice of 2nd March 2012. The Polish-German Forum of the European Parliament citizens: European solidarity in the time of crisis. 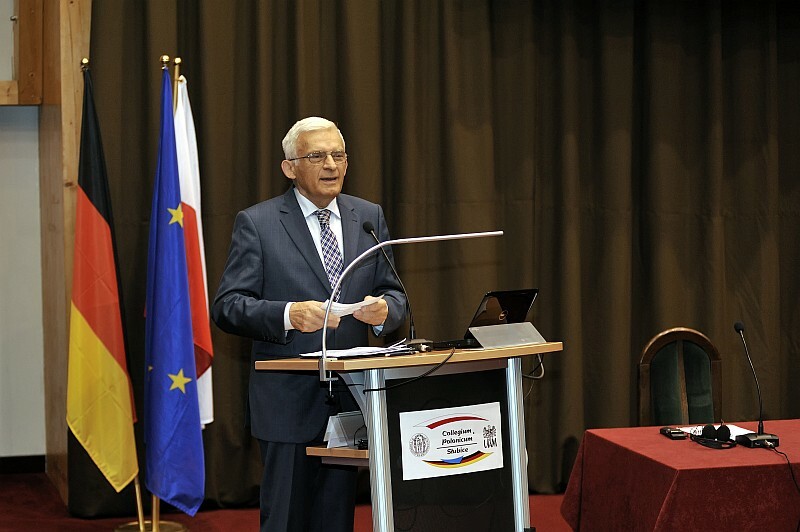 The future of European Union policies with Jerzy Buzek, the President of the European Parliament. 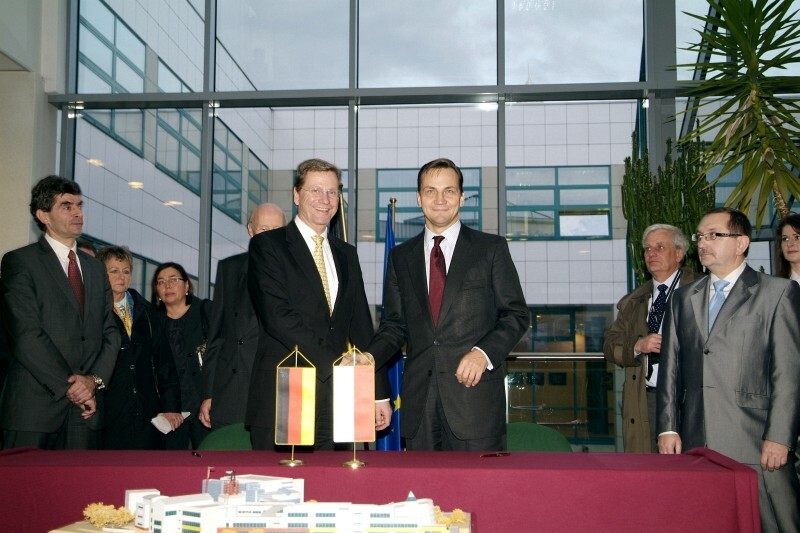 The visit of the Ministers of Foreign Affairs of the Republic of Poland and the Federal Republic of Germany: Radosław Sikorski and Dr Guido Westerwelle at the Polish-German conference “The Oder/Neisse border: from division to integration”. 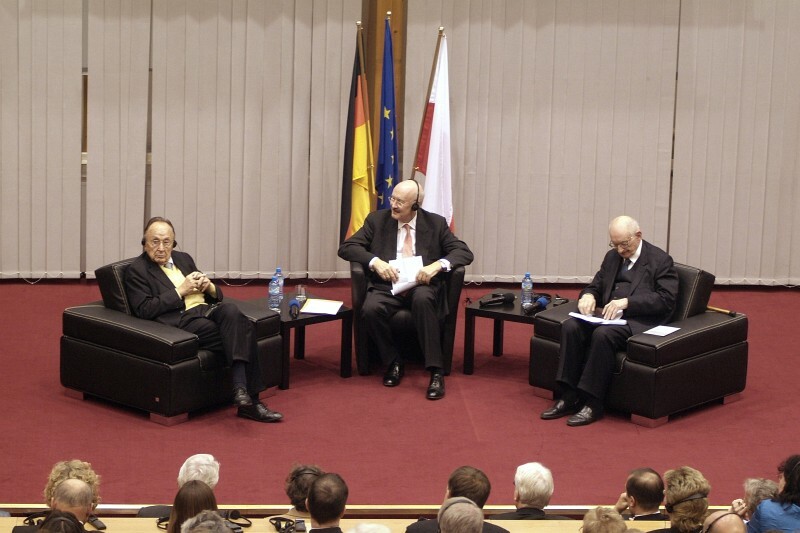 The meeting of the former Ministers of Foreign Affairs of the Republic of Poland and the Federal Republic of Germany: Prof Władysław Bartoszewski and Dr Hans-Dietrich Genscher at the Polish-German conference “The Oder/Neisse border: from division to integration”. 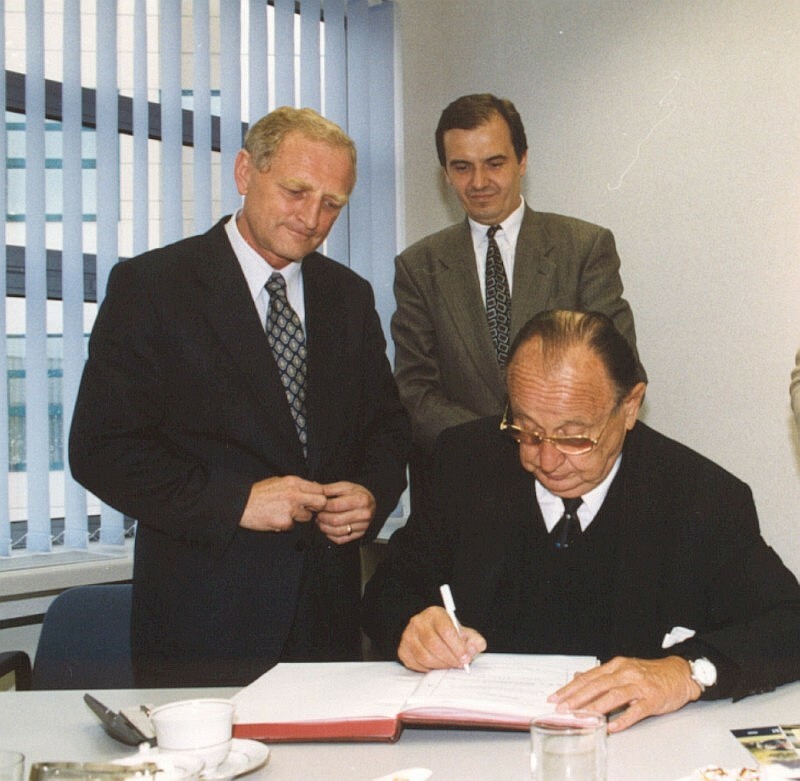 Signing of the Agreement on the Cooperation between the Adam Mickiewicz University in Poznań and the European University Viadrina in Frankfurt (Oder). The signing of the deal between the Ministry of Education, Research and Culture of the federated state Brandenburg and the Ministry of National Education and Sport of the Republic of Poland on Collegium Polonicum in Słubice. 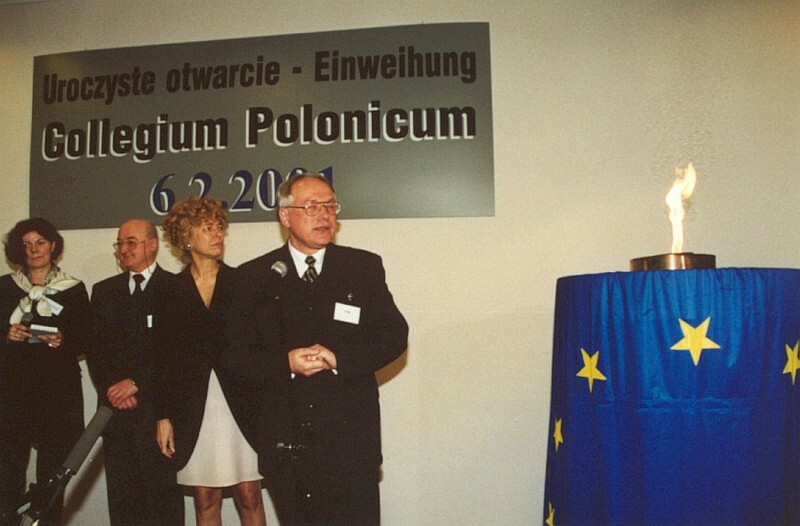 The opening of the Collegium Polonicum. 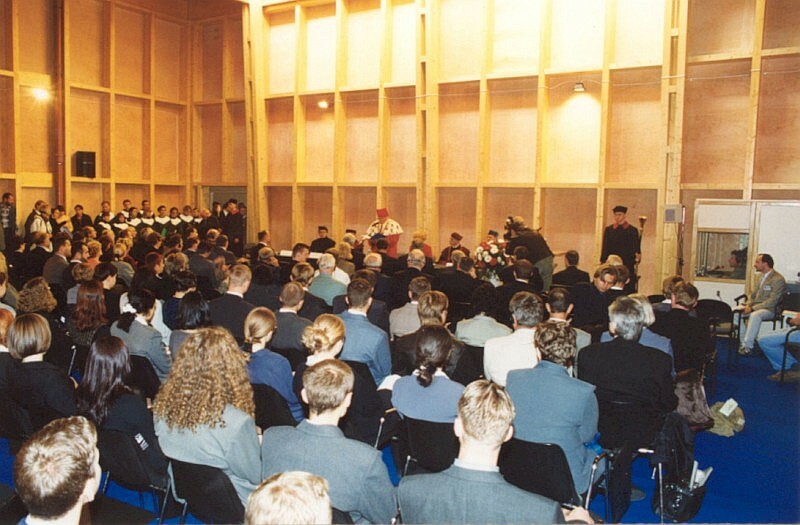 09.10.2000The inauguration of the academic year 2000/01 in the large aula in the Collegium Polonicum. 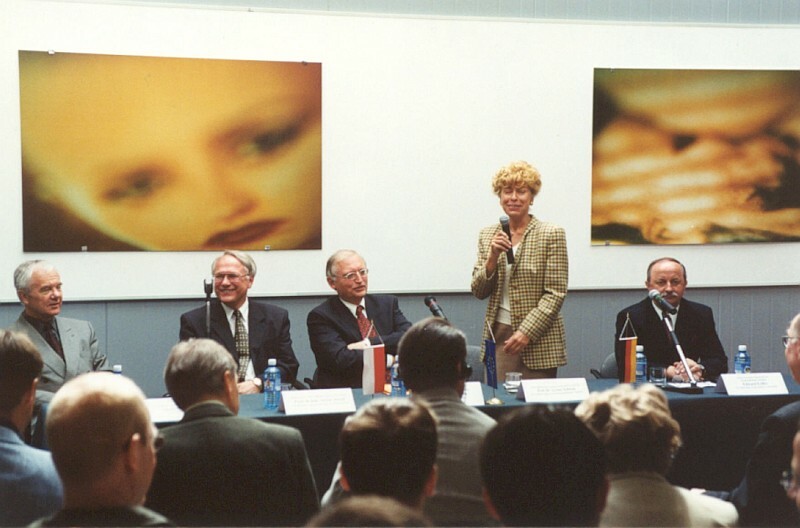 The public discussion with the participation of Günter Verheugen – The EU Commissioner for Expanding the European Union to the East. 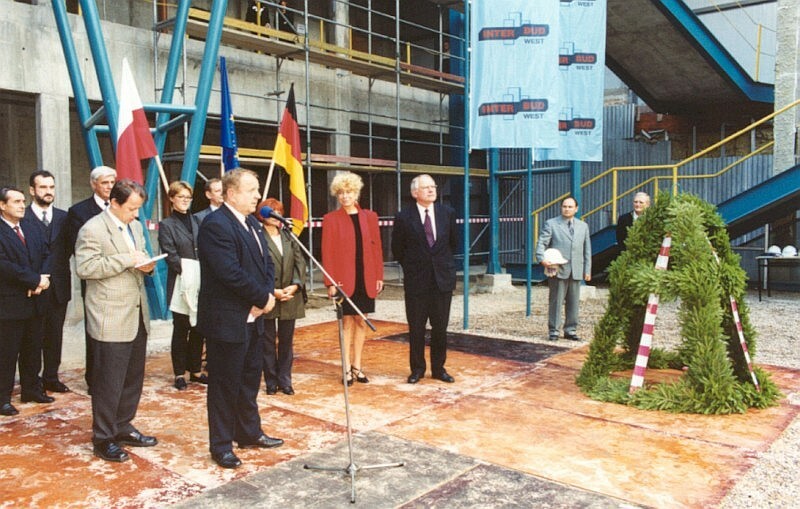 “Wiecha” on the second side of the Collegium Polonicum building with the participation of the AMU Rector Prof Stefan Jurga and the President of EUV Prof Gesine Schwan, and the inauguration of the academic year 1999/00 on the second side of the main building. 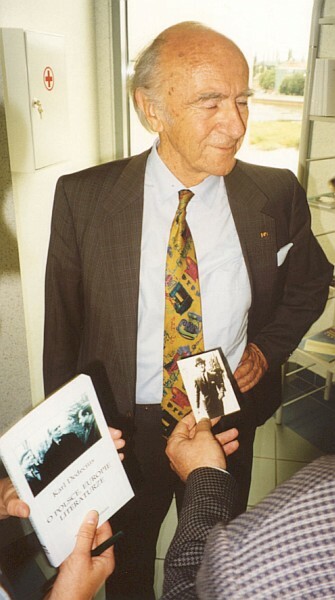 The visit of Karl Dedecius – the founder and director of the Polish Culture Institute in Darmstadt. The visit of Hans-Dietrich Genscher, the former Minister of Foreign Affairs of the Federal Republic of Germany. 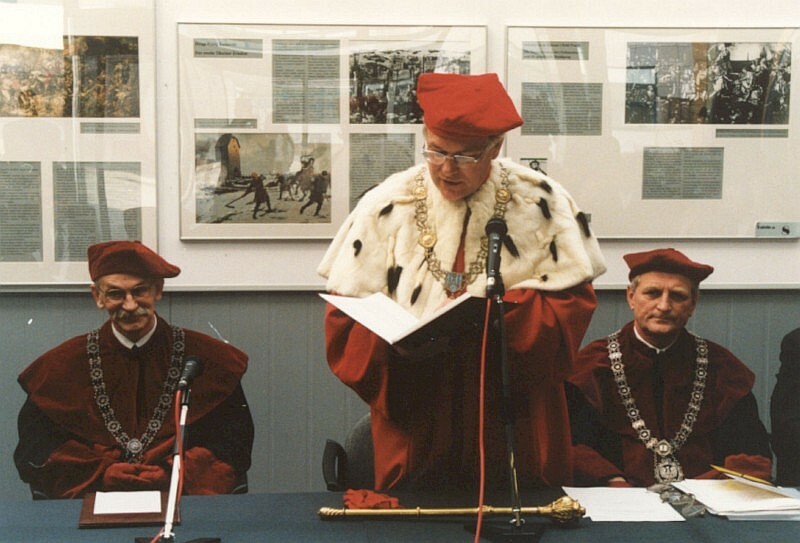 A traditional “Wiecha” at the Collegium Polonicum Library with the participation of the AMU Rector Prof Stefan Jurga and the EUV Rector Prof Hans N. Weiler. 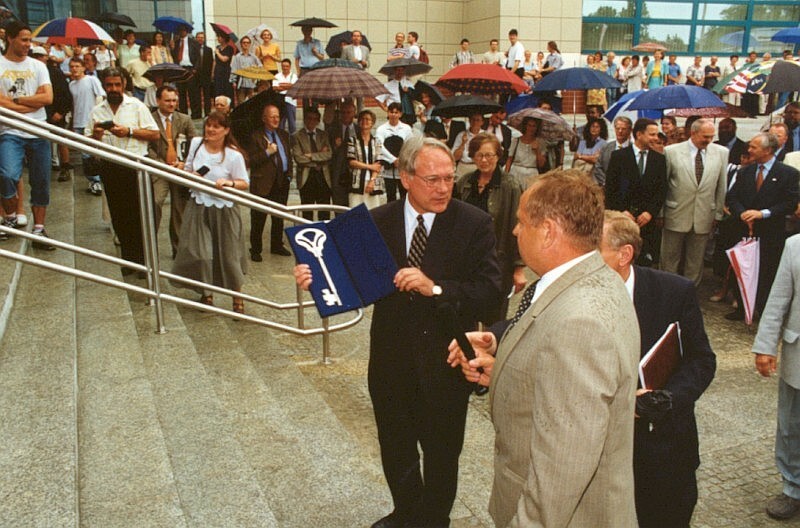 The inauguration of the academic year 1998/99 in the new Collegium Polonicum building. 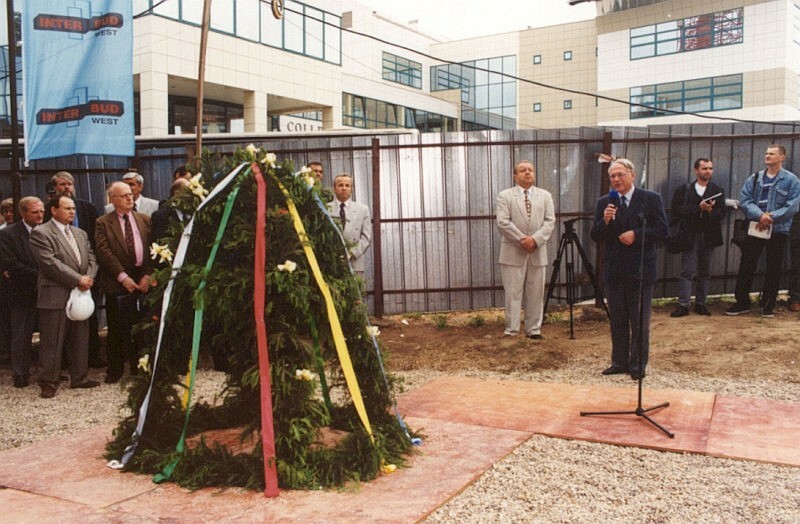 The opening of the new Collegium Polonicum main building. 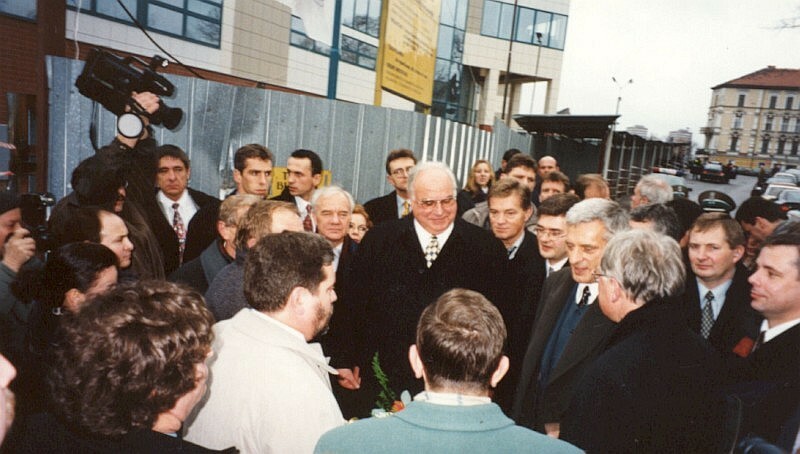 The visit of the Prime Minister of Poland Jerzy Buzek with the Chancellor of Germany Helmut Kohl to the construction site of Collegium Polonicum. A traditional “Wiecha” on the first side of Collegium Polonicum with the participation of the AMU Rector Prof Stefan Jurga and the EUV Rector Prof Hans Weiler. 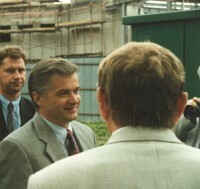 Włodzimierz Cimoszewicz, the Prime Minister of Poland, visits the construction site of Collegium Polonicum. 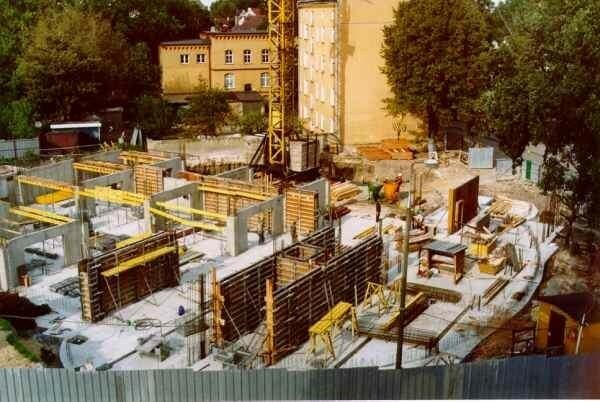 The construction of the new Collegium Polonicum main building begins. 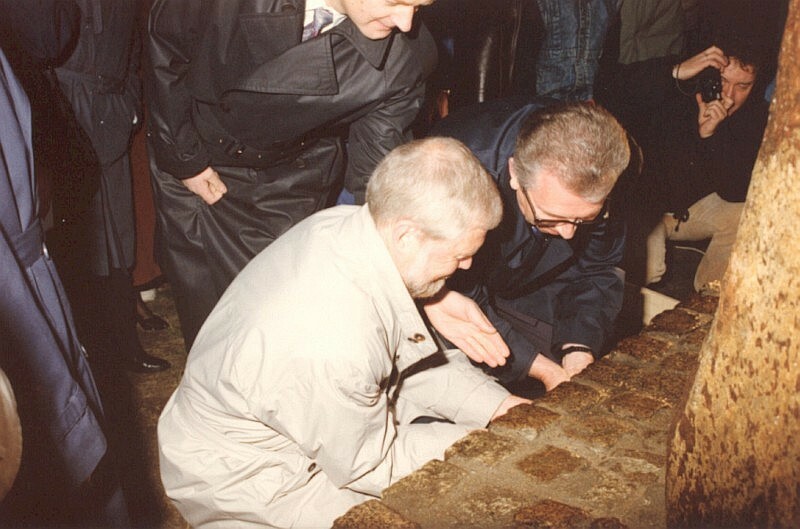 The AMU Rector Prof Jerzy Fedorowski and the EUV Rector-Founder Prof Knut-Ipsen lay the foundation stone of the Collegium Polonicum. In December, the Founding Senate adopts a resolution on the establishment and concept of the Collegium Polonicum.